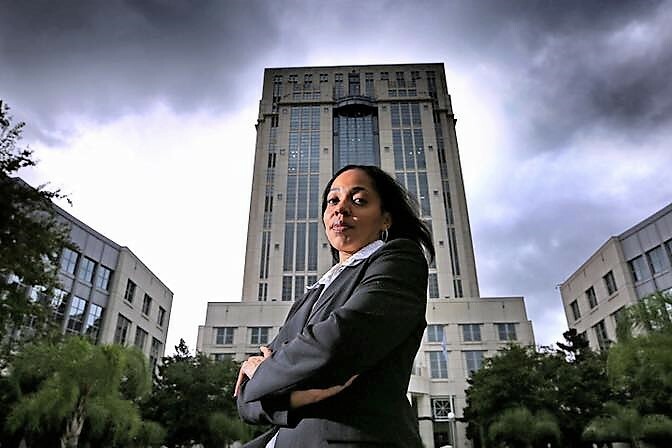 Last November, Democrat Aramis Ayala became the first Black elected State Attorney in Florida’s history when she defeated incumbent Jeff Ashton for the position. Within weeks of her election, Markeith Loyd, a young black man, shot and killed his pregnant girlfriend, Sade Dixon, a young black woman. When Orlando Police Lt. Deborah Clayton, also a young black woman, attempted to apprehend Loyd at a local Wal-Mart, Loyd allegedly murdered her, too, with an autopsy confirming that the killing shot having been fired execution style as Clayton was lying on her back. Thus began a manhunt that took nearly three weeks before Loyd was taken into custody, where he now faces two counts of first degree murder along with a host of related felony offenses. It is also important to note that a second law enforcement officer, Orange County Deputy Norman Lewis, a black man, was killed in a car accident during the Loyd manhunt. Since Scott’s decision, both attorneys and laypersons of all races have weighed in via social and traditional media about Scott’s decision, one whose effect has caused one of the more unusual unions of people of differing political ideologies and races who are joined together at this moment either in support of Scott, or in unison behind SA Ayala. As a history major during my undergraduate and graduate school days at Morehouse College and Florida A&M University, as a former prosecutor, and as the only black attorney in my circuit who is state certified to serve as lead counsel in death penalty cases, this current controversy has been particularly intriguing to me. You see, the historian in me knows full well that Florida, like most of its former Confederate neighbors, once was a hot bed of lynching and had Loyd killed his girlfriend and directly or indirectly caused the deaths of two police officers 60 years ago, Loyd never would have seen the inside of a courtroom because a lynch mob would have murdered him within hours of his apprehension. The former prosecutor in me knows that as a “minister of justice,” as the ABA and Florida Bar rules require, where defendants meet the requisite aggravating factors to seek the death penalty, including whether they were prior convicted felons, whether the defendant caused a great risk to others by his murderous acts, and whether the murders were heinous, atrocious and cruel or committed in cold, calculated or premeditated fashion, then said prosecutor should file notice to seek the death penalty. Indeed, when I considered a run for State Attorney in my circuit last year, one of the factors that gave me pause was my personal aversion to the death penalty and my knowing that if elected, it would be my duty to seek it when the facts warranted the same. But the defense attorney in me, the one who has tried numerous murder cases and who knows the nauseous feeling that all defense lawyers get as we wait to hear whether the jury has found our client guilty or not guilty, or recommended the death penalty or life without parole, appreciates SA Ayala’s personal dilemma with the death penalty as applied along racial lines. It is perspicuous that with all of the individuals that have been cleared by advocacy groups like the Innocence Project based upon DNA testing results, that there have been innocent individuals across America who have been executed for crimes that they did not commit. But should that reality apply to Loyd, one who boasted about killing cops on social media amid overwhelming evidence of his guilt? Should the families of Loyd’s victims, or the public writ large, be denied retribution in the form of capital punishment if that is the overwhelming desire? This last part, the public policy implications, vexes me the most in that it pits conflicting issues within my own historical and legal body of knowledge— and my core value system. Meaning, does the public outrage at SA Ayala’s reticence to enact the death penalty come from the same outrage that used to fuel lynch mobs several decades ago? Separately, such also compels me to ask how can those of us who proudly exclaim that #BlackLivesMatter on the one hand, not give deference to the fact that Loyd’s victims King, the unborn child, Clayton and Lewis were black? Since their lives mattered, would Loyd serving a life sentence truly recognize that fact, or would lethal injection or the electric chair be the only methods to square their lost lives? The irony in this is that the Black Lives Matter movement began in earnest after George Zimmerman was acquitted of murdering Trayvon Martin by a Sanford, Florida jury in 2013. A year before his acquittal, Gov. Scott replaced then Sanford State Attorney Norm Wolfinger with Jacksonville State Attorney Angela Corey after Wolfinger dragged his feet for almost 50 days before finally recusing himself. Scott’s move back then was applauded by many black lawyers, civil rights activists and concerned citizens who wanted to ensure that the highest charges and attendant punishments would be sought against Zimmerman. Today, Scott is being blasted by some lawyers and activists, including many of my closest brothers and sisters in the profession, for meddling in Ayala’s use of discretion not to seek the death penalty. Upon first hearing of his acts, I held and still hold similar concerns about the legality of this move by Scott. Further, it must be noted that the key distinction from 2012 and today is that SA Wolfinger recused himself while SA Ayala did not, one that could lead to a fascinating legal battle where the courts may have to determine whether Scott illegally overreached by replacing Ayala, or whether her refusal to follow his dictates allowed him leave to replace her. Whatever the final decision on this matter, the fact remains that the anecdotal evidence on social media is clear that politics makes strange bedfellows where murder, capital punishment and race are concerned.